Bella Serra – Canonsburg, Pa. 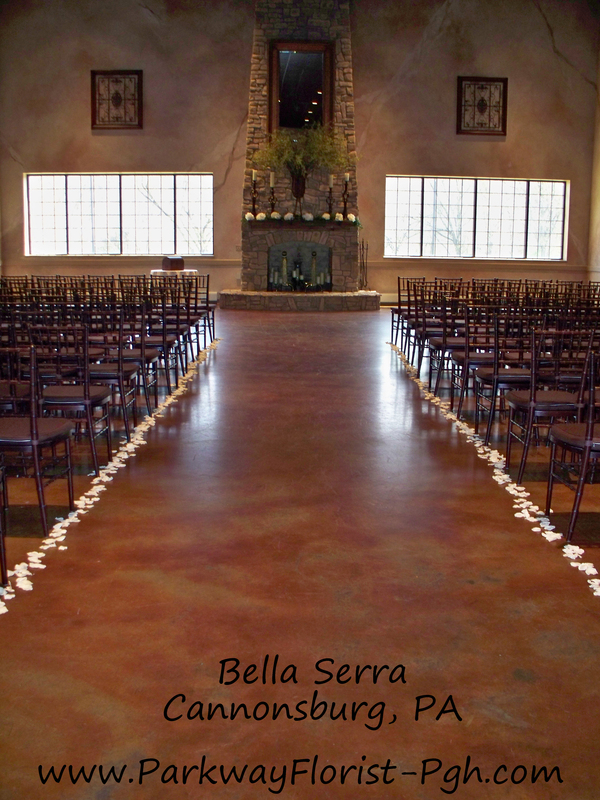 If you are looking for an all-inclusive facility to hold both your wedding ceremony and the reception, please consider the wonderful space at Bella Serra. Bella Serra is located near Canonsburg, Pa. 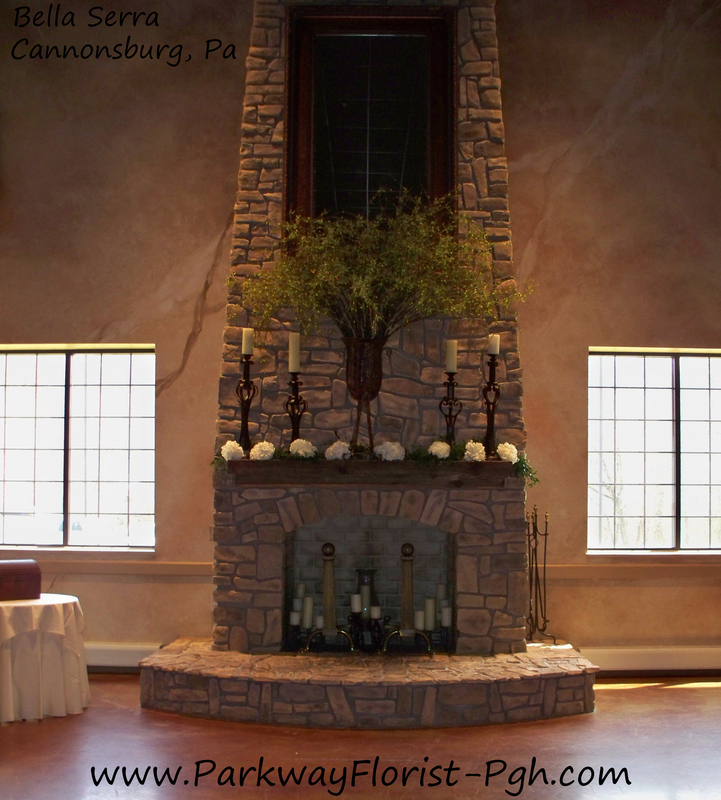 It has a Tuscan feel, with a HUGE fireplace wall that is the perfect backdrop for a wedding ceremony. There is also a private room for the wedding party on the second floor, as well as a wide, romantic staircase for the bride to glide down, and enter for her ceremony. The facility can accommodate up to approximately 300 for a reception. This venue has a beautiful “old world” charm, with modern accommodations. It is very close to the Southpointe and Canonsburg/Meadowslands hotels, which is very nice for out-of-town guests. The pictures below are the set-up we did for a late March – early April wedding. This entry was posted on June 12, 2014, in Ideas & Arrangements, Weddings - 2014 and tagged Bella Serra, bride, brides, Canonsburg, venue, wedding, Weddings - 2014. Bookmark the permalink.